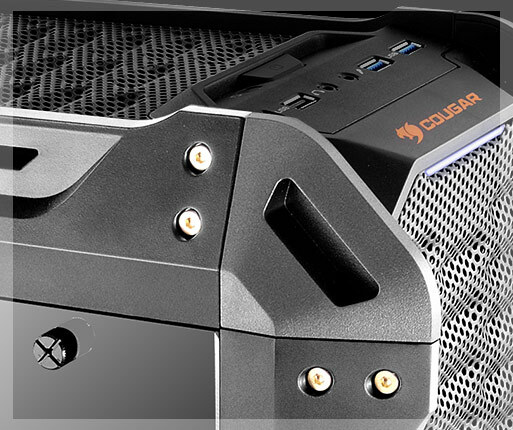 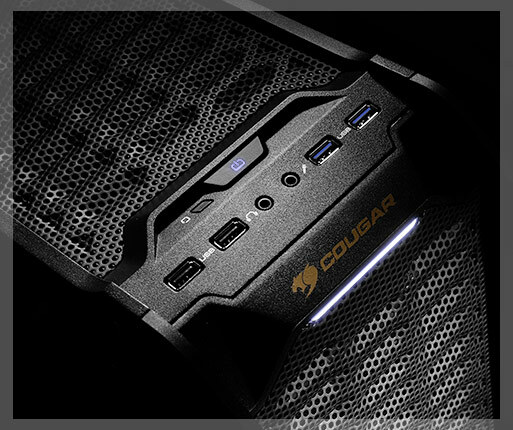 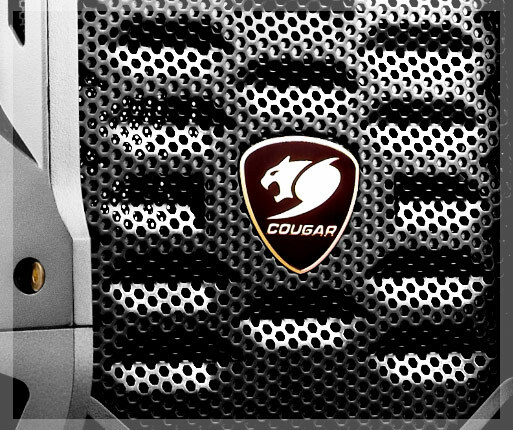 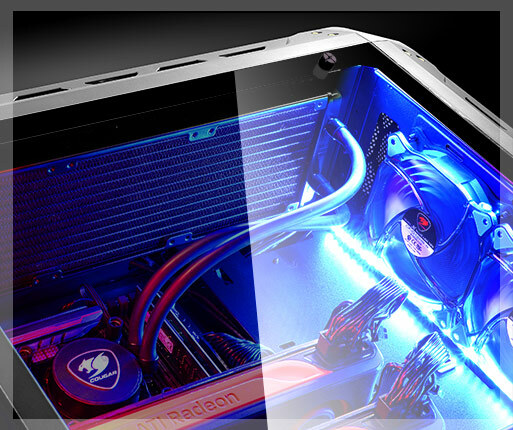 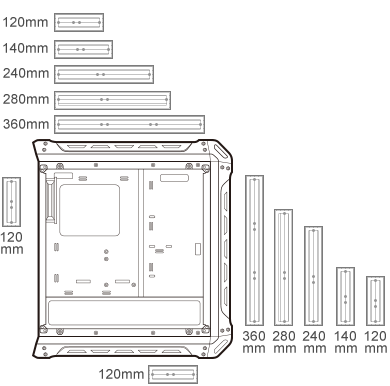 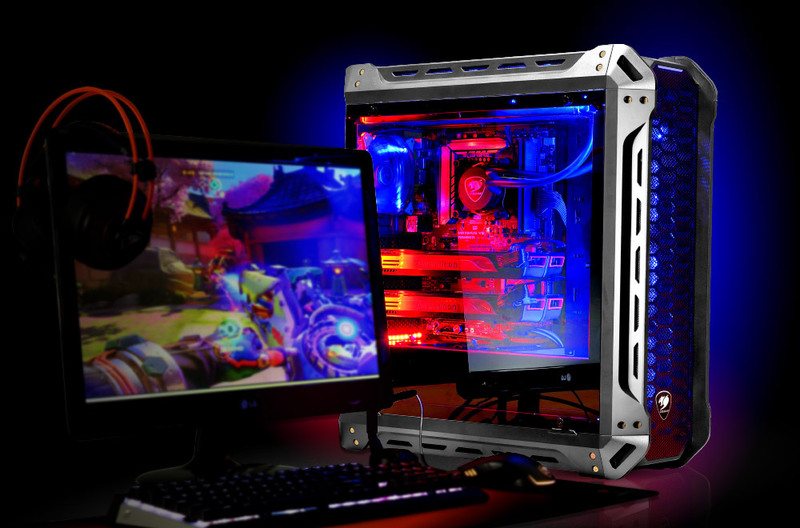 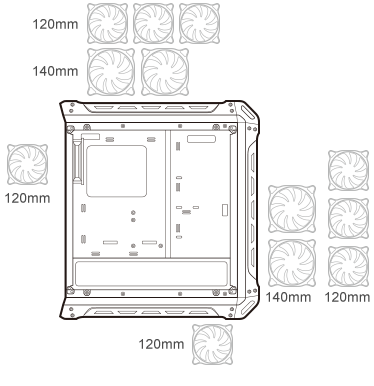 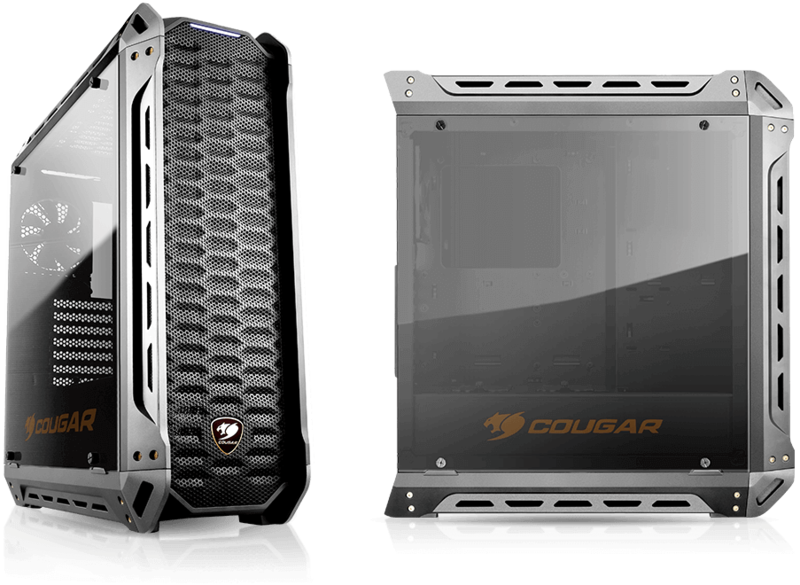 Up to 4 radiators, 8 fans, and 3D meshed cover design will cool your gaming beast. 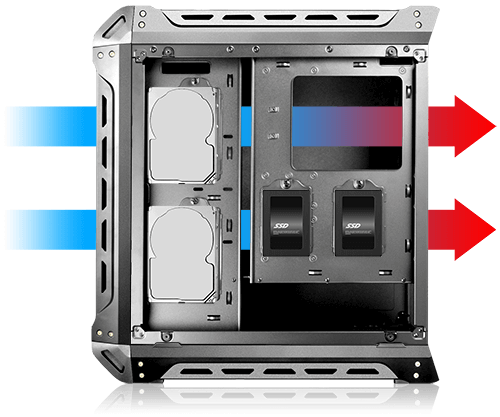 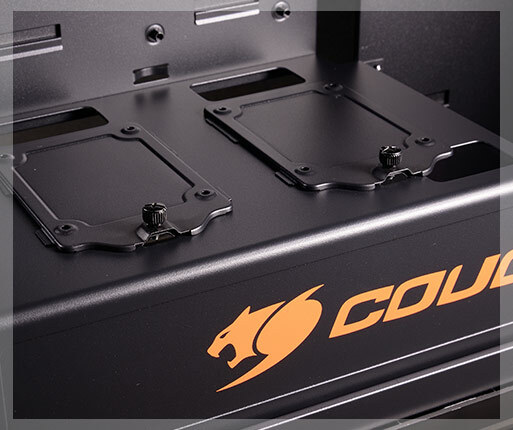 This incredible support will allow you to build your computer as powerful as you want without having to worry about overheating. 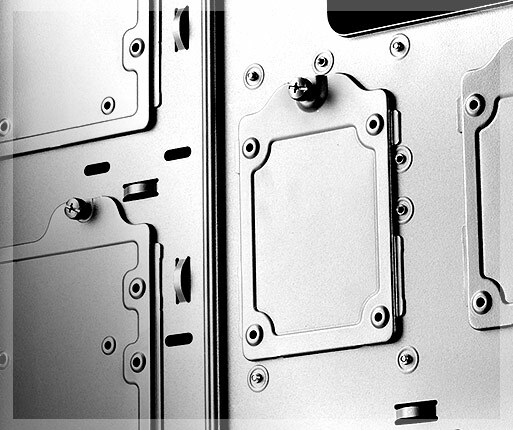 Steel HDD/SSD trays cleanly placed behind the motherboard tray.